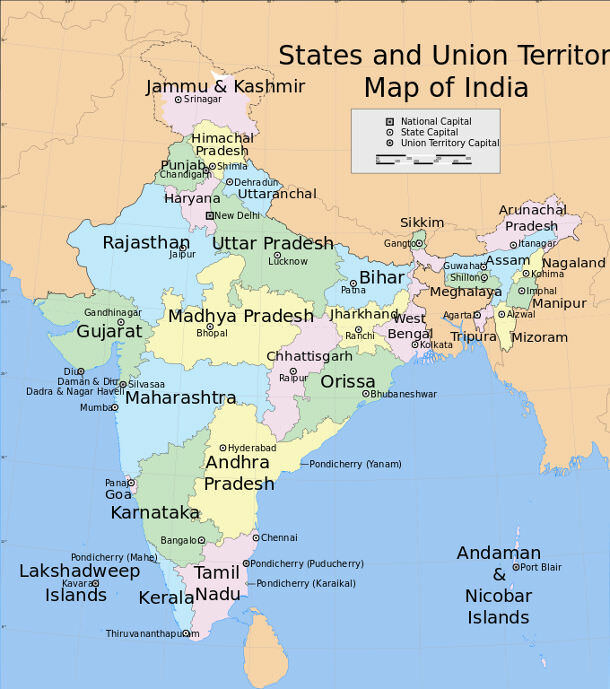 India is divided into 28 states and 7 union territories. States are governed by elected officials, while union territories are directly ruled by the government. Each region of India is exquisitely unique and has its own character. Find out which region would be perfect for your destination wedding in India. You will need a permit as a non-Indian to enter these islands off of the Bay of Bengal. Going out of your way to reach these quaint inhabited islands will be a grand experience however. The islands, many inaccessible, boast exotic azure waters with that small island feel. Some wedding venues on the Andaman and Nicobar islands include Kalyana Mandapam as well as the Andhra Association Hall. Ancient Hindu temples, coastal regions meeting valleys, and a southern Indian flare make Andhra Pradesh a great destination wedding location. Andhra Pradesh includes the city of Hyderabad, also known as the City of Pearls. Monuments and activities line the city, including 16th century mosque Charminar. No one will be disappointed with all that Andhra Pradesh has to offer. Andhra Pradesh includes many wedding venues from coast-side resorts to urban hotels. Some venues include the Taj Krishna Hyderabad, Dapalla Hotel, and Katriya Hotel & Towers. Arunachal Pradesh is known as one of India's most diverse states. The Himalayas sweep the horizon of Arunachal Pradesh, making this state a serene experience for all who go. Monastic life with hints of Tibetan influence are prominent. Arunachal Pradesh is also known as one of India's safest states, with low crime rates throughout the region. Numerous tribes reside here, and there is never a dull moment with the states many festivities. This tea-producing region includes tropical forests and immaculate wildlife. Treat yourselves to a day excursion at one of Assam's many national parks. Several Assam tea estates offer residence as well as tours of the estate. Assam's ancient roots can be rediscovered at historical sites like Madan Kamdev, dating back to the 9th century. The Hotel Raj Mahal coordinates your wedding with a team and hosts a lovely banquet hall. The hotel is located in Guwahati, a cultural epicenter of Assam. See http://www.hotelrajmahal.in/ for more information. Bihar is revered as one of India's historically most important states. The original Bodhi Tree is located at the Mahabodhi Temple in Bodh Gaya. Many other ancient sites lie in Bihar, giving way for an unlimited amount of excursion possibilities. The sacred Ganga river flows through Bihar, making it a frequent site of festivities and commotion. Chandigarh is the capital of Punjab and Haryana as well as a bustling union territory. Escape urban India by visiting Sukhna Lake, one of the territories most scenic locations. Modernity runs rampant in this capitol city, and facilities such as The Regent Regency and Hotel Golden Tulip offer competitive amenities. Zakir Rose Garden has that romantic vibe with picturesque scenery and aromatic roses from around the world. Also, the Rock Garden of Chandigarh is a must due to its sheer beauty. For a fantastic venue in the heart of Chandigarh, TOY Hotel offers a banquet hall for the reception. The JW Marriot is also said to be a fantastic venue with a grand ballroom, divine banquet hall, wedding planners and staff available for hire. Chhattisgarh has tons of sites to see with impeccable wildlife sanctuaries and national parks. An adventurous couple will have a blast here, with ancient caves and waterfalls waiting to be discovered. The capitol of Raipur frequently holds cricket matches. If commotion isn't your thing, the nearby Gandhi Udyan Park is a mini retreat in the city. Hotel Grand International of Raipur includes two banquet halls that can accommodate up to 300 guests. It includes a roof top garden for the ceremony, as well as fantastic amenities. See http://www.hotelgrandinternational.com for more information on this venue. Dadra and Nagar Haveli is a smaller union territory with gorgeous sightseeing opportunities. The Swaminarayan Temple at Silvassa is one of the most awe-inspiring excursions in this beautiful territory. Vanganga Lake as well as its surrounding gardens would make for a fantastic photo opportunity or just a refreshing getaway from the city. When it comes to planning your wedding in Dadra and Nagar Haveli, the Daman Ganga Valley Resort is willing to accommodate your needs. Wedding specialists are available at this exquisite resort. Your one year anniversary celebration is on them, so take advantage of another lovely visit to India next year too. Daman and Diu has that relaxing coastal vibe topped with historical sites. One of the top rated beaches in the territory is Ghogla Beach. Chakratirth Beach is also recommended for its serenity. Portuguese influence remains visible in much of the coast. At Diu Fort, witness 16th century Portuguese forts. Sugati Beach Resort is an excellent venue for those wanting to take advantage of the territories exquisite coast. The resort includes private white sand beaches and grandiose banquet rooms. See http://sugatibeachresort.com/sugati/weddings/ for more information on this venue. Delhi is an explosion of urban flare and activity. At over 22 million inhabitants, Delhi is India's most populous city and the worlds second. Markets, temples, and amazing food are ingrained in the culture here. Experience the chaos by visiting Palika Bazaar. Also, Humayun's Tomb is a Persian influenced UNESCO World Heritage Site and is a must-see in Delhi. The Lodhi Gardens contain over 50 acres of tranquility. Delhi always has something new to offer and has a plethora of venues to choose from, such as the Taj Palace Hotel. Services will range from opulently luxurious to budget friendly. The finest beaches of India, thriving communities, and rich culture. Goa is the go-to place for a relaxing and even luxurious time in India. Beach-side resorts make for stunning ceremonies. Goa's divine venues like the Grand Hyatt Resort Goa offer up to 5 star waterfront lodging. Other resorts appeal to the more exotic senses, like the Leela Kempinski Resort Goa. There is also a great nightlife scene. The seaside town of Baga is particularly known for its clubs and bars. There are also plenty of opportunities to shop or enjoy beach-side activities in this paradise. Gujarat, also known as the Jewel of the West, has a unique Persian influence. Royal palaces such as the Laxmi Vilas Palace are common in Gujarat. The temples here are unique in architecture and would make great excursions. Gujarat is also partially on the coast, giving way to many ports and excellent white sand beaches. The Madhubhan Resort and Spa is the perfect place for your destination wedding in Gujarat. The resort offers luxurious suites and even traditional Indian style tents. 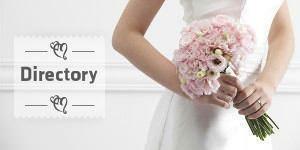 They also offer extensive services to make this special day perfect and stress-free. See http://www.madhubhanresortandspa.com/ for more information on this venue. Haryana is an affluent state of India. Enormous agricultural fields lay outside the major urban areas. There is always something to do in Haryana, which is what makes it such a good location for a destination wedding. Excursions include the Golden Temple, the Capital Complex, and Haryana's many delicious restaurants. Courtyard Gurgaon is a close distance from Delhi, providing for an unlimited amount of potential. See http://www.marriott.com/hotels/fact-sheet/travel/delgu-courtyard-gurgaon/ for more information on this venue. This state's close proximity to the Himalayas makes it a prominent beauty. Many revered railways pass through the region, allowing visitors to have easy access to nearby landmarks an sights. Towns like Shimla and Manali offer a taste of the northern Indian serenity of this state. Munish Resorts is an excellent venue in Himachal Pradesh that has that forested lodge-like feeling. They pride themselves on the solitude and serenity of the establishment. If you're interested in having your destination wedding at this venue, see http://munishresorts.com/htm for more information. As one of India's northernmost states, Jammu and Kashmir will change your expectations of what India is. The breathtaking Tibetan plateaus and Himalayan mountains will leave you in awe. Take photographs to remember at the Indira Gandhi Tulip Garden. Experience the vastness of this region by the Betab Valley. Adrenaline junkies can even hit the slopes at Apharwat or nearby peaks. Fortune Inn Riviera is located in Jammu. The inn boasts views of nearby peaks as well as being near the city center. Many nature trails also surround the area. The inn offers a variety of accommodations and services. See http://www.fortunehotels.in/resort/Jammu-Fortune_Inn_Riviera.aspx if you'd like more information about this venue. Jharkhand is known as the land of the forests. Many regard Jharkhand to be India's most attractive state. There are countless waterfalls, parks, and temples in Jharkhand. The capitol, Ranchi, has modern amenities with close proximity to Jharkhand's notorious forests and sites. The Ranchi Club is a popular wedding venue in Jharkhand. The club includes accommodation and club events. See http://www.ranchiclub.org/ranchiclub/index.php for more information on this venue in Jharkhand. Karnataka's dramatic scenery is largely due to its tremendous waterfalls and great beaches. Jog Falls are an out of this world experience, dropping nearly 250 meters. Karnataka will be the perfect location for those who want a retreat in India outside of the hype of Goa and Kerala. Bangalore is situated in Karnataka and is home to museums and theatres offering modern entertainment. Bangalore, as well as the coastal regions of Karnataka, offer numerous venues ranging from sheer luxury to the budget friendly. Those who long for a relaxing time in India should consider having their destination wedding at Kerala. Kerala's beautiful coast would make an excellent beach ceremony. Kerala also boasts luscious tea gardens and temples with a southern Indian flare. Ramada Resort Cochin is one of Kerala's top wedding venues. It sits outside of the Kumbalam lakes and includes 8 acres of land outside of Cochin. Resort services include spa services, ayurveda, and an excellent ensemble of dining options. See http://www.ramadacochin.com/ for more information on this venue. Lakshadweep is the smallest union territory and requires a permit to access. The glistening azure waters and white sand that surrounds Lakshadweep makes it a desirable location for anyone's wedding. This group of islands has more of a Maldives vibe than Indian due to its close proximity to the luxurious island nation. Beach weddings are the main attraction in Lakshadweep. Please note that non-Indians will be restricted to three islands: Agatti, Bangaram, and Kadmat. Madhya Pradesh is the heart of India. Anyone wanting a taste of authentic and pure India might be interested in Madhya Pradesh. Some of India's most ancient temples reside in this land. While in Bhopal visit the Rock Shelters of Bhimbetka, a UNESCO World Heritage Site that includes rock paintings over 30,000 years old. The Bundelkhand Riverside in Orchha is a riverside venue located among some of India's most historical sites. The hotel has a number of activities that they offer. See http://www.bundelkhandriverside.com/ for more information on this venue. Anyone's wedding would be fantastic in the state of Maharashtra. Home to Mumbai, this fast paced city is where Bollywood originated. Although urban, historical and ancient sites such as the Ajanta Caves are to be found everywhere. Some of India's most attractive wedding venues are found in the city. Mumbai is also the perfect place for a budget conscious wedding, due to the sheer number of venues available. Manipur is one of the outermost states of India. It's proximity to Burma gives Manipur a unique character. Adventerous travelers will be keen about Manipur's many bazaars and markets. Most are located in Imphal, the capitol. Manipur is home to many lakes and national parks. Spacious valleys and hillside towns give Manipur's countryside a quaint character. This forested state is a retreat from urban India. Serene lakes encompass Meghalaya. Take a trip to Mawlynnong and experience tropical India at Mawlynnong waterfall. Meghalaya is a great state for the adventurous couple, hosting multiple renowned caves and sites. For a more scenic venue, head over to Ri Kynjai. The resort is situated beside the Umiam Lake. Don't let the quaint location fool you. Ri Kynkjai hosts spa services, as well as a nearby museum and sightseeing services. See http://rikynjai.com/ for more information. Mizoram, like Nagaland, is a unique state with lots of outside influence. Local bazaars and a quainter lifestyle emanates from Mizoram. Wildlife parks and waterfalls are some of the highlights. Local festivities occur frequently in Mizoram's quaint towns. Exciting but intimidating to some, the Dampa Tiger Reserve is home to India's many exotic creatures. Much of Nagaland is tropical and forested. The eastern proximity of Nagaland is obvious and many Naga tribes inhabit this state. Nagaland's abundance of nature and parks give any couple lots of opportunities to get off the grid. Frequent Naga festivals also give this state a flare. Tibetan influence is also prominent in Nagaland, and Kohima is filled with Tibetan markets. Odisha lies on India's east coast and boasts luscious green terrain, plains, and coastal regions. Lots of ancient sites like the Udayagiri & Khandagiri Caves dot the state of Odisha. Stunning UNESCO world heritage temples are in this state, such as the Konark Sun Temple. Empires Hotel offers up to four banquet halls. The branch in Bhubaneswar is in close proximity to historical sites. Dining and modern amenities are readily available. See http://empireshotel.com/ for more information. Puducherry is known as the New Town and boasts French influence in much of its territory. Located on India's east coast, beaches such as Paradise Beach are nice excursions. Arulmigu Manakula Vinayagar Temple is one of Punducherry's must see ancient Hindu temples. Also Chunnambar Boat House is a nice and serene way to access Paradise Beach. Le Pondy is possibly Puducherry's best wedding venue. The resort includes a private beach, fantastic service, and spa/ayurveda services. See http://www.lepondy.com/ to learn more about Le Pondy. The state of Punjab is embedded with rich Sikh roots. Historical sites such as the Golden Temple are a delight to see. Punjab is also the perfect place for those that like activity, as there's lots of it. Kila Raipur is hosted in Punjab annually. The Stallone Manor is a grandiose venue that boasts a large banquet hall. Renowned for their entertainment services and events, The Stallone Manor is an excellent choice for your destination wedding in Punjab. See http://www.stallonemanor.com/ for more information on this venue. India's largest state of Rajasthan is diverse and ancient. Camels walk the perpetual Thar Desert in scenes that look almost Arabian. Like an oasis, the Lake of Pushkar houses sacred baths and over 500 Hindu temples. One of Rajasthan's most appreciated wedding venues is the Taj Lake Palace. The opulent setting of Taj Lake Palace mixed with mindful staff makes for a magnificent destination wedding. See http://www.tajhotels.com/ to find out more about this fantastic venue. The appeal of Sikkim may be in part to its small size and proximity to the Himalayas. Beautiful mountain ranges and lakes line the horizon. This state is tinged with monastic influence and hints of Buddhism can be found. Sikkim is a fantastic state for any couple that wants a taste of serene northern India. The Royal Plaza has banquet halls that can host either up to 500 guests, or a small quaint 15 guest party. The establishment is impeccably serviced and includes modern amenities with nearby monasteries. See http://www.theroyalplazahotel.com/ for more information. Tamil Nadu is an excellent southern Indian state, spread with ancient Hindu temples and coastal regions. Gorgeous beaches line the coast, such as Mahabalipuram Beach. Temples such as Brihadishwara Temple are over 1000 years old. The Leela Palace Chennai, The Raintree Hotel, and Sea Shell Residency are common venues in Tamil Nadu that will make your wedding day one to remember. Tripura is a small state with a regional flare. Its many lakes and temples are a scenic choice for your destination wedding. Many wildlife sanctuaries offer glimpses of India's curious sights from a distance. Ujjayanta Palace of Agartala is a decadent royal palace that offers a glimpse of the culture of Tripura. Shakti Tent House offers more of an authentic Indian destination wedding service. Catering, photographers, wedding planners, and more services are offered. An open seating arrangement as well as a traditional wedding tent house will provide for a true Indian-style wedding. Uttar Pradesh is a must, regardless of your intentions in India. As the most populous state, and home to the Taj Mahal, Uttar Pradesh has that quintessentially Indian atmosphere. At Varanasi it's not uncommon to see a religious ceremony every day. At Agra, home of the Taj Mahal, stay at The Grand Imperial. Boasting a spa to relax before your big day as well as some of Agra's most decadent rooms, The Grand Imperial is a frequent site for destination weddings. See http://www.hotelgrandimperial.com/ for some more information on this venue. Uttarakhand's breathtaking mountains and religious sites set this state apart from the rest. Any couple longing for a monastic retreat or to just bathe in the sheer beauty of northern India will admire Uttarakhand. Experience an ambient stay at Uttarakhand's Naukuchiatal. The peaceful lake is complemented by such venues as The Lake Village. This lakeside retreat is the perfect compliment for your special day. See http://www.thelakevillage.com/ for some more information. The serenity of Darjeeling emanates across its endless hills of tea. Kanchenjunga Mountain is admired by all who witness this stunning peak. Also, experience the Darjeeling Himalayan Railway for a scenic train ride across this magic land. Also in West Bengal lies Kolkata, a major urban city. Take a stroll around Millenium Park beside the Ganges river and have a romantic getaway. Also beside the Ganges, Dakshineswar Kali Temple is a religious experience to remember. Taj Bengal Kolkata, The Park Kolkata, and Hotel Hindusthan International Kolkata are venues in the state that have excellent service. West Bengal, like much of India, has something for everyone. Find out more about getting married in India in our Indian Wedding Guide or browse our Indian Wedding Directory to start planning your dream wedding.